Call it the Gold standard. 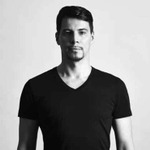 There’s simply no other way to measure the staggering success that Thomas Gold has achieved in dance music, consistently obliterating boundaries and defying convention with chart-topping tracks and jaw-dropping performances across the globe. Since storming onto the scene in 2006, the German artist has emerged as one of the most widely admired producers in modern dance music. He first made his mark through a series of standout releases such top-shelf labels as Toolroom Records, Phazing, Spinnin’ Records and Size Records, while collaborating with the likes of Fatboy Slim, Dirty South and Alex Kenji. Gold’s rare ear for remixing acclaimed artists has also helped elevate his name into rarified air. His breakout remix of Adele’s “Set Fire to Rain” eclipsed 15 million YouTube views, while his reworks of industry icons like Lady Gaga, OneRepublic and Miike Snow continue to dominate dance floors worldwide. In 2012, Gold’s musical Midas touch earned him the honor of a coveted record deal with close friend Axwell’s acclaimed Axtone Recordings, and he wasted no time in taking the Swedish House Mafioso’s label to the top of the charts. “Sing2Me,” his instrumental Axtone debut, rode its Miami anthem status straight to Beatport’s No. 1 spot. The biggest names in dance music flocked to support the white-hot hit, providing a clarion call for Gold’s signature style, which was fleshed out on his brilliant Essential Mix and Axtone Presents Thomas Gold compilation album later that year. Gold’s trademark melodic sound reached an emphatic crescendo on his highly anticipated follow-up “Remember.” Featuring vocals from platinum-selling Aussie Kaelyn Behr, the hit single ignited the industry and inspired Gold’s smash- success “Remember the Light” tour. As a globetrotting international DJ, Gold has taken his talents from the studio to the stage in unparalleled fashion. He has become a main stage staple worldwide, enthralling thousands from Ultra Music Festival and Electric Daisy Carnival to Coachella and Tomorrowland, and pushing the envelope by adding a live drum line and brass section to his ever-evolving live show. His unmatched energy and arsenal of custom edits have made him a fixture at the world’s most prestigious clubs and earned him an esteemed residency at Light Las Vegas, where he regularly curates the soundtrack to an immersive sensory experience in partnership with Cirque du Soleil. Despite his dizzying rise, the Golden German remains relentless on the road to dance music dominance. 2014 finds Gold with a forthcoming single on Hardwell’s Revealed Recordings and highly anticipated collaborations with Borgeous and MAKJ in the works. With marquee gigs spanning North America, Europe and Asia, and massive productions waiting in the wings, Thomas Gold’s future is beyond bright. It’s practically gilded.